The knowledgeable and dedicated physicians at Abington - Jefferson Health provide complete spine expertise. They use the latest diagnostic technologies and treatment techniques in order to excel in evaluating conditions, performing procedures, and restoring quality of life. 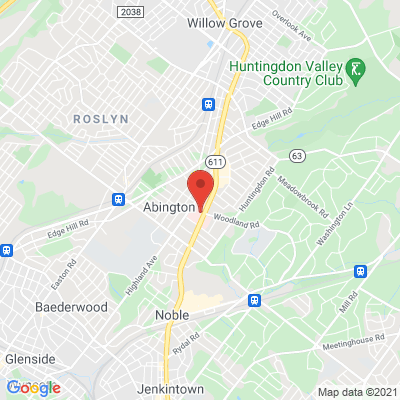 If you experience chronic or debilitating pain in your back or neck, the team at Abington - Jefferson Health wants to treat your condition with compassion. The doctors spend thorough time understanding the complexities of your pain, and they take a caring approach when finding solutions with lasting results. The collaborative group of spine specialists includes 4 neurosurgeons and 3 orthopedic surgeons, along with a team of pain specialists and rehabilitation physicians, making available both surgical and non-surgical interventions. Abington - Jefferson Health is designated as a Blue Distinction Center+ for Spine Surgery® by Independence Blue Cross, and it is listed as one of the top hospitals in the Philadelphia metro area by U.S. News & World Report. It is the first facility in the Philadelphia metro area to offer the Mazor Robotics Renaissance® Guidance System, a technology that enhances surgeon performance by increasing accuracy and minimizing risks. 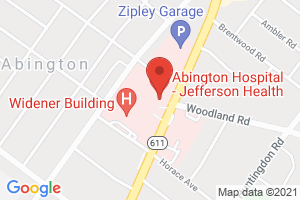 Discuss your options for spine care with the team at Abington - Jefferson Health. "Chronic pain was hurting me and my family. I'm so glad I met Dr. Lee that day. This surgery - and his skill and compassion - have truly changed my life." Profile last updated: September 13, 2017. This information was supplied by or on behalf of the provider.